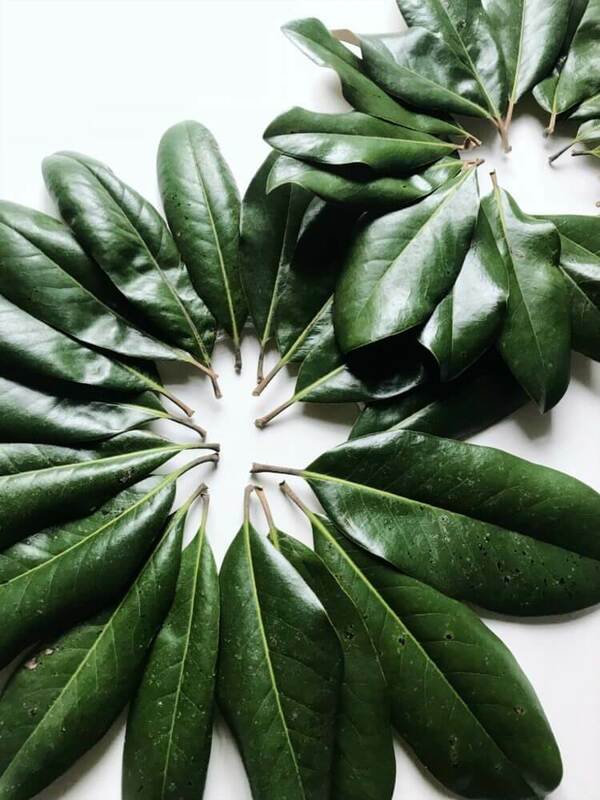 We have a gigantic magnolia tree in our front yard and not until recently did I think to go out, grab some of those pretty green leaves and make a magnolia leaf wreath. Store bought wreaths can be quite pricey and although our wreaths aren’t quite as nice looking, they were fun to make and pretty much free! I got the kids to join in and make Mini Magnolia Wreaths. These can be large wreaths or mini door hanger type wreaths, whatever your child prefers to make. I thought the smaller the wreaths, the easier it would be for my young kiddos to make. You just need a few supplies and of course a magnolia leaves. Most neighborhoods have at least one or 2 of these trees around and I’m sure your neighbors wouldn’t mind you grabbing a handful of the fallen leaves for your magnolia leaf wreath craft. Start with your cardboard or styrofoam and cut out a backing for your magnolia leaf wreath. This is what you are going to glue your magnolia leaves to so you want it to be a wreath shape. A good way to do this is get a large bowl and a small bowl and trace the large bowl onto the cardboard. Then center the smaller bowl within that tracing and trace it as well. Now you can cut along the circle lines and in between you will have a donut shape left perfect for the wreath. Make sure to get the magnolia leaves ready by picking the best ones and making sure they are removed from the twigs and ready to use. 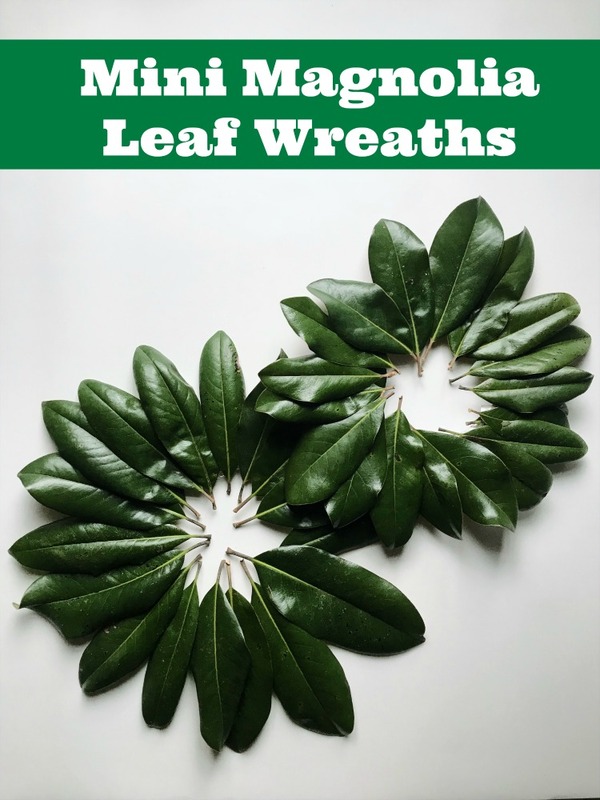 Go ahead and lay them out in a rough circular shape to see if you will have enough leaves for your magnolia leaf wreath. It’s time to glue! This part you will want to do yourself because the glue of course is super hot. Hot glue dries fairly quickly so you can apply it to a small area, like a quarter of the wreath. Then your child can help stick the magnolia leaves on after the glue has been applied to the backing. You can glue the leaves down at an angle or glue them to where the stems of the laves are all pointed towards the center. We did both! Continue around the circle with glue and leaves until you complete the magnolia leaf wreath. Once the leaves are all glued down, you just need to find a place to hang your magnolia leaf wreath. If it’s small enough, it can be a door hanger. If you had larger leaves, it can go on your child door or even the front door! This is a great fall craft or for any time of year because Magnolia leaves are evergreen. 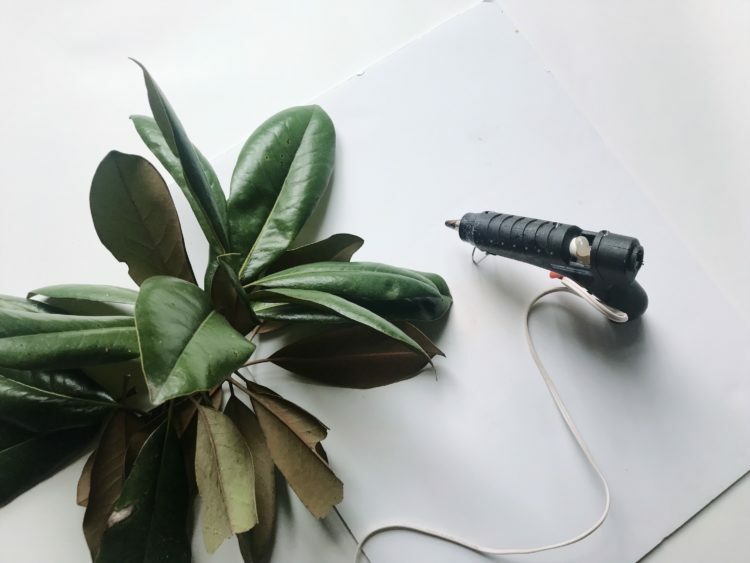 Have you ever used magnolia leaves in a craft before?